Numerical method based on Legendre polynomials for solving fractional order Lane–Emden equation is used in this article. The fractional order operational matrices of Legendre polynomials are derived. The fractional derivative is described in the Caputo sense. The fractional order Lane–Emden equation with given initial conditions are transformed into the systems of nonlinear algebraic equations, which are solved using Newton iteration method. The numerical computations are carried out using Mathematica software and the results are depicted through graphs for different particular cases. A comparison of the result for standard order equation clearly exhibits that the method is reliable and effective. 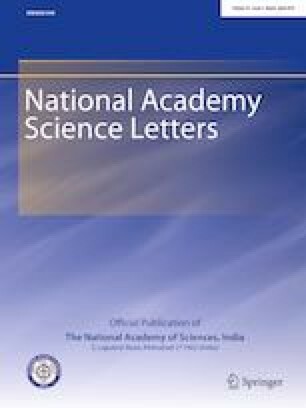 The author is grateful to Prof. S. Das Department of Mathematical Sciences, IIT (BHU) for giving opportunity to carry out this research under his project scheme sponsored by Science and Engineering Research Board (SERB), Government of India vide their letter number SB/S4/MS:840/13 dated 07.05.2015.